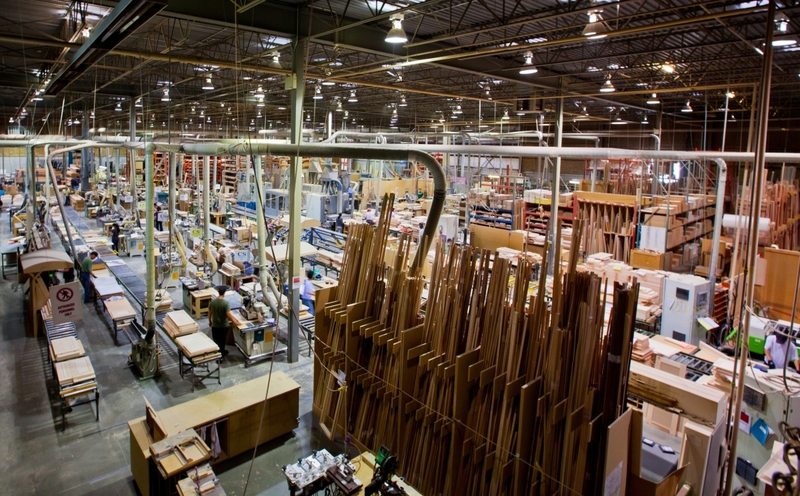 We specialize in high production, including CNC routing and drilling, sheet goods cut to size, planing solid lumber, straight line ripping, laminating, sanding and custom mouldings. We also welcome custom design orders. We feature fast turn-around times. Please inquire. All our kitchen components come edge banded, matching the finish for just the right look, but there are also many other options for edge banding, from colored PVC, to real wood veneer of varying thickness. We plane material to thickness. We process wood up to 4" thick and 24" wide, to a perfect flat finish. Multiwood has ripping services available for wood up to 2" thick and 15" wide. We can rip your stock to precise dimensions. All of our products coming out of our sanding department are ready for finishing, after being throughly inspected and hand sanded. Multiwood can sand product up to 49" wide and 4" thick, and then finish sand them.